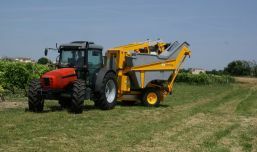 Even when used with a low power tractor, the G.Prima is your reliable vine harvesting partner. 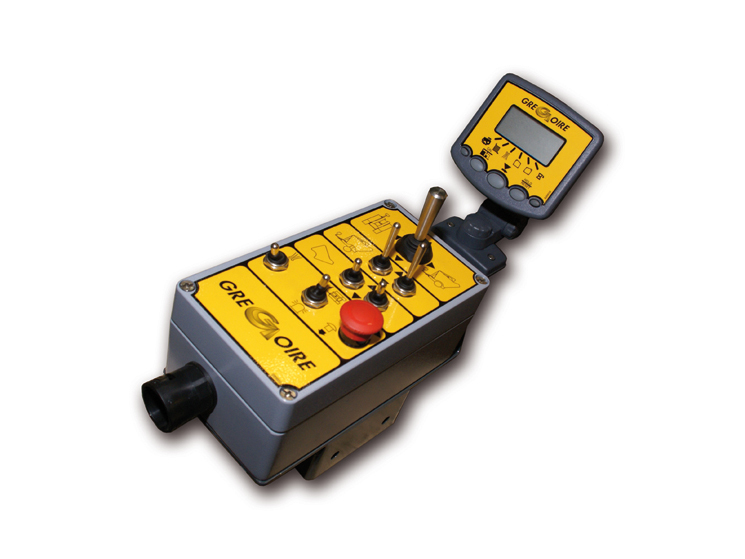 And in the most difficult working conditions, the G.Prima can be equipped with 630 cc wheel motors. 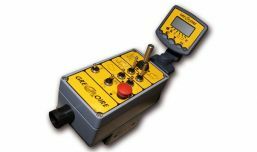 This allows you to manage the hydraulic pressure setting directly from the driver position. Equipped with a compact, simple control console, which is perfectly integrated into your driver position, controlling all the G.Prima's functions is child's play. Simple, intuitive pictograms ensure you can get to grips with it in no time. 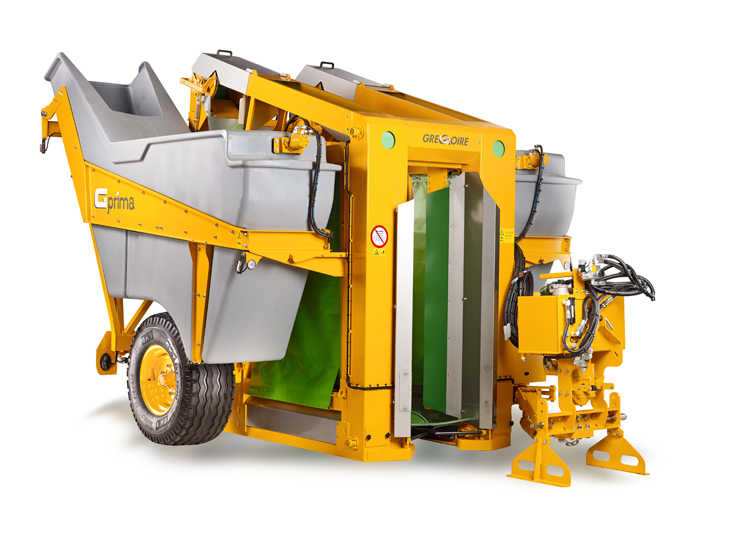 GREGOIRE has chosen to use tried and tested components, a guarantee of reliability, for the design of the ARC harvester head, which has a reputation as the gentlest on the market. It is equipped with shakers (exclusive to GREGOIRE) which will meet all your requirements in terms of robustness and service life. 2000mm of sealing and extra-wide conveyor belts (320mm) mean your harvest will proceed smoothly, with no constraints or crushing. 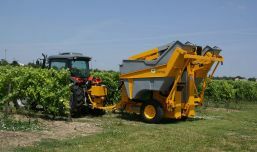 Lower aspirators guarantee your harvested grapes are cleaned without delay, with no loss of juice. When it comes to cleaning, simplicity remains the watchword! The zones to be cleaned can be accessed quickly, easily and in their entirety. 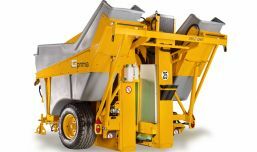 The large space provided in the harvester head (650mm between the conveyors) ensures you have easy access for all maintenance operations. 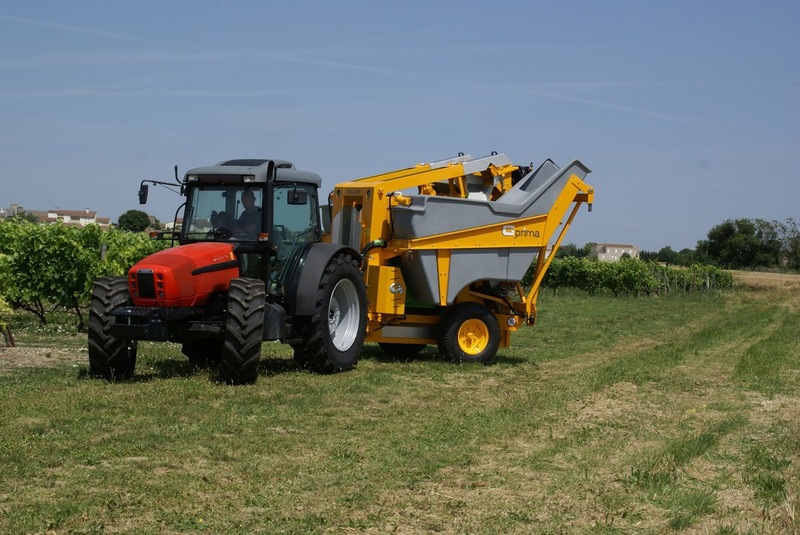 Using original GREGOIRE parts, a byword for reliability and resilience, guarantees both trouble-free harvesting and reduced maintenance costs. 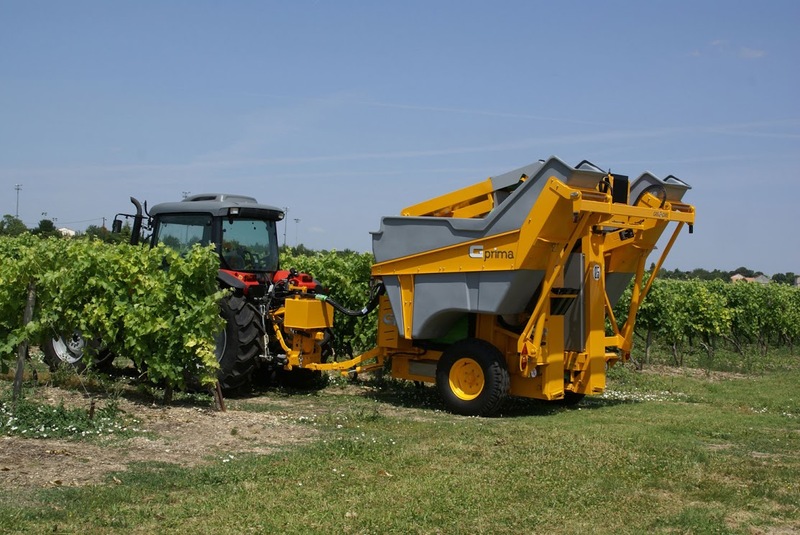 The G.Prima allows you to pass between rows of vines from 1.70m apart. Its adjustable height and tilt angle mean all obstacles can be overcome without a risk of entanglement. 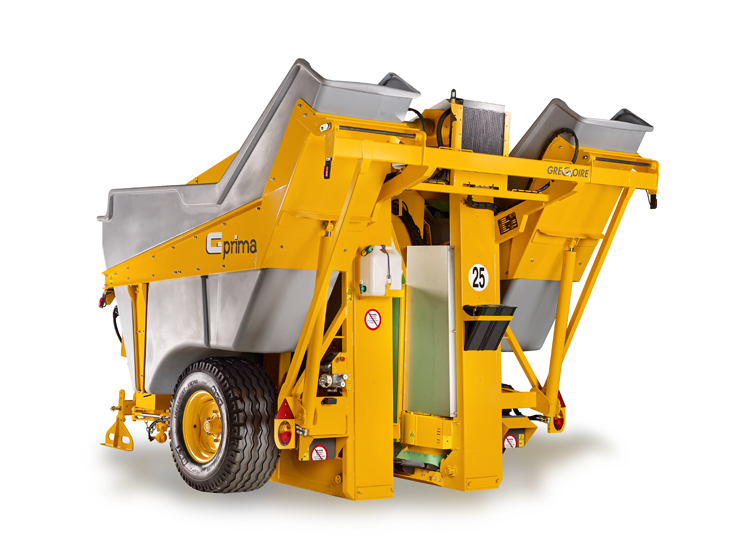 An articulated drawbar gives the G.Prima unrivalled handling capabilities. 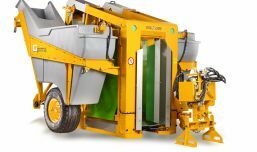 Two 1400l polyethylene bins ensure you benefit from a high level of autonomy.